This Salthouse Studio is part of our range of Garden Studios. It was installed for use as a complementary therapy studio and included delivery and installation as part of our complete service. With its fully double glazed wall this studio offers exceptional levels of natural light, making the Salthouse Studio ideal as an office or a dedicated arts and crafts space. 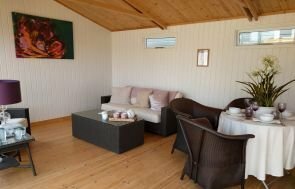 Our garden studios are also fully lined and insulated, meaning they can be used all year round. Planning permission is not usually necessary, but there are some exceptions, depending on where you live. Our guide to Planning Permission can help you identify whether you will require consent or not. Our Salthouse Studio is now fully installed, painted, wired up, heated and we absolutely love it! Very impressed overall with how it looks and how solid it all feels. 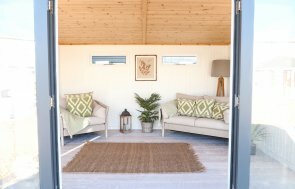 At Crane Garden Buildings, we've spent the last 50 years perfecting our bespoke range of summerhouses, garden sheds and garden studios. You can view our range of buildings for yourself at one of our seven UK National Show Centres. 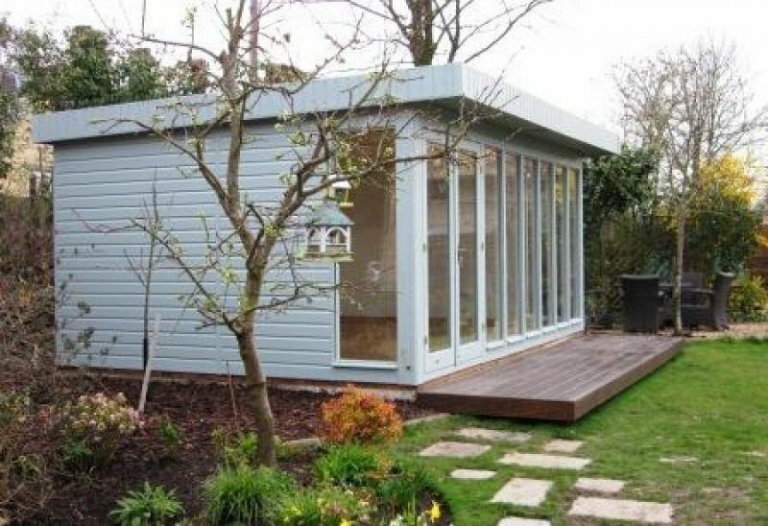 If you would like to discuss the options available for your own garden office or garden studio, please Request a Callback, Contact Us or call us on 01760 444229. One of our friendly team will be able to create the perfect workspace for you.